It’s that time of the year when we across a lot of rumours and half baked reports associated to Samsung’s upcoming flagship smartphone. This time around, the rumour mill is churning out new information about the Galaxy S9 each passing day, as the company is expected to showcase the iteration of its flagship at the CES 2018 in Las Vegas. Earlier there were reports that the device might make a cameo at CES in January 2018, but the new reports state otherwise. As for the specifications, the smartphone is rumoured to boast Qualcomm’s Snapdragon 845 chipset manufactured using the 10nm manufacturing process. The Galaxy S9 will have 4GB of RAM whereas the Galaxy S9 Plus will sport 6GB of RAM. The S9 will retain the design of the Galaxy S8 but have completely new innards. It will retain the 5.8-inch Infinity Display panels from the present S8 lineup. However, it will have a completely new processor, new set of cameras and other new features. Along with the S9 being very fast and efficient, it’s also thought this next generation smartphone will get a dual-lens camera for the first time. The Galaxy Note 8 already features a double snapper on its rear case and the S9 could follow. Although this is clearly good news for fans of the Galaxy phones another rumour has suggested only the larger S9+ will get this impressive camera. There’s no confirmation on whether this is true but Apple has done something similar with its iPhone 8 and iPhone 8 Plus as only the larger phone gets the dual-lens camera. 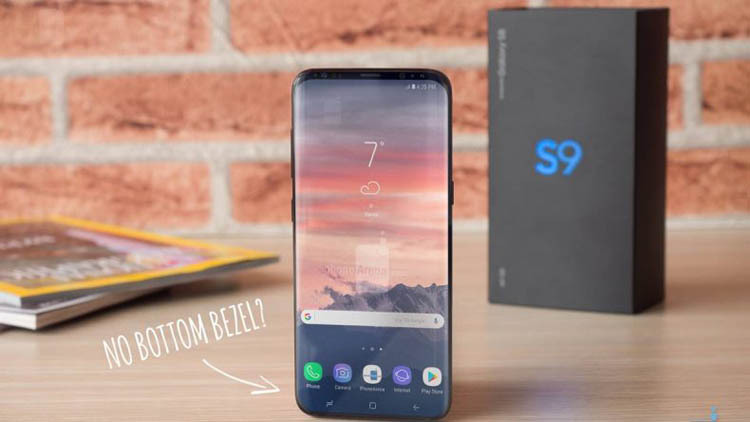 Other features coming to S9 could include a better rear-mounted fingerprint scanner, improved display and faster charging battery.